Hello beauties & welcome to today's blog post! This post is all things Avatara! I have teamed up with this amazing company (they're so so sweet)! I had tried out some masks by them, and immediately got in to contact with the company so that I could share with y'all just how great they are. They have face masks designed to help your dry skin, uneven skin and so much more! 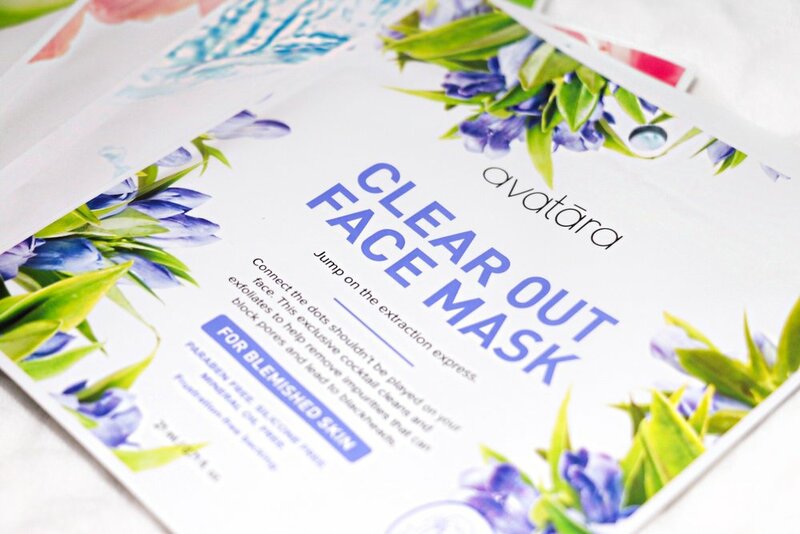 By visiting Avatara Skin's website, you'll have access to all the masks, a skin quiz if you are unsure of the mask for you, and you can even receive a free mask just for signing up with your email! The Avatara team has sent over one of each mask for me to try out; keep reading to read what I think/ where you can get yours! Now, I am not kidding when I say these are great masks; they totally are! They're sheet masks, and so hydrating on the skin. They are super cold on the face which is refreshing & there's even an option to put them in the refrigerator for a more cool feeling! There's two layers to the mask, and the directions on the back easily guide you on how to use it. The cloth side goes onto your skin and once it is placed, remove the backing and let the mask sit for 10-20 mins. And, last but not least, THE BEST PART: You DO NOT have to wash it off! I don't know aout y'all but I love this. Just gently moisturize the product into the skin and you are good to go! I use mine at night, so I gently rub it in to my skin, let it dry & then go to sleep! If you know me, then you know I am constantly dehydrated. This mask is very moisturizing and basically has you looking hydrated and glowing the next morning. My skin was very dry when I tried this one out, and let me tell ya it works wonders. Personally my favorite. Guess what? These masks are available for only $3! Join me and have your skin looking flawless! Check them out by clicking here, or visit your local Target!